Where Does Bozeman’s Water Come From? Let’s face it, we are pretty lucky to be able to call Bozeman home. The sheer beauty and countless natural amenities make Bozeman a very special place. But this is not exactly news. People have called the Valley of the Flowers home for thousands of years. 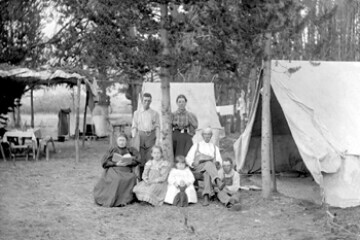 During the mid nineteenth century, new arrivals saw the potential of the rich, productive soil and the life sustaining rivers and creeks as the building blocks from which to create a thriving community. Contrary to popular opinion, Bozeman is not located in a lush environment with plentiful supplies of water. In fact, Bozeman is situated in a semi-arid ecosystem and receives a relatively meager sixteen inches of precipitation on average each year. 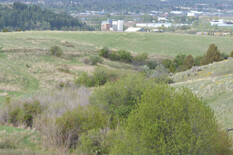 Bozeman is a headwaters community, located at the very top of the drainage of the Missouri River Basin. This is great news from a water quality perspective. There are no cities or industries above us, so the quality of our water is extremely high. However, there is no upstream for us to get more water if supplies run low, so the quantity of water is limited. 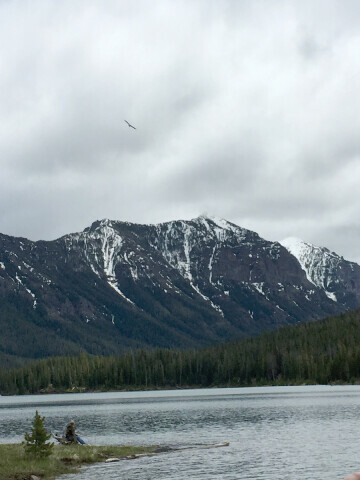 Eighty-five percent of the city’s water comes from snowmelt from the Hyalite Range that feed Sourdough (Bozeman) Creek and Hyalite Reservoir which flows into Hyalite (Middle) Creek. The remaining fifteen percent comes from a developed spring at the headwaters of Lyman Creek on the southwest side of the Bridger Mountains. After it is diverted and treated, approximately two billion gallons per year runs via gravity through 253 miles of pipelines to homes and businesses in town. Climate data tells us that these supplies are likely to become less reliable over time. Bozeman, like many western cities, is facing a future with shifting precipitation patterns-more moisture coming in the form of rain versus snow during shoulder seasons, warmer temperatures resulting in earlier peak flows and drier summers. Combine this with rapid population growth, and the city’s water resource managers face some interesting challenges. There is no need to fill your emergency jugs quite yet. Thanks to the planning efforts of our past and current city water managers, Bozeman has enough water to meet water demands for the next twenty to thirty years. But after that, we could be looking at a situation where demand for water exceeds supplies. 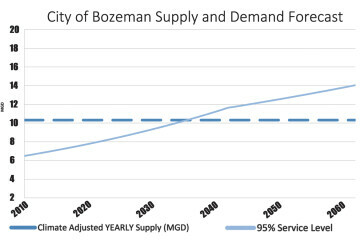 Over the next fifty years, Bozeman’s water supply gap (how much we will be short) is projected to be just shy of 18,000 acre feet. One acre foot is about 326,000 gallons, which is enough water to cover one acre of land in water one foot deep or, enough water to fill 10,867 bathtubs. In response to this potential water supply gap, the city adopted a plan to meet our future water needs. The Integrated Water Resources Plan (IWRP) was the culmination of data collection and analysis by engineering firms and guidance from a technical advisory committee comprised of local water experts. Implementation of its recommendations is in full swing. For instance, the city is developing supplies by getting the most out of all of our existing sources at Lyman, Sourdough Creek and Hyalite Reservoir, and looks to add groundwater as a source of supply. But, per the IWRP, the largest source of additional water supplies will come from water conservation. 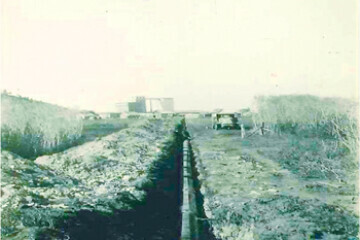 In other words, the city plans to cover much of the growing demand using water that is already there. This is what is known as demand side management and depends on all of us making decisions to use less water. Why was water conservation tapped to play such an important role in Bozeman’s water supply planning? First and foremost, generating supplies from water conservation is far less expensive for the city and ultimately, the city’s water customers, than getting that water any other way because it is already there. It’s also the quickest way to get more water-again, because it is sitting there ready to go. No need to build a new reservoir, or pipeline. It is immediately available to accommodate rapid growth or ease impacts from a drought. It also brings with it really great environmental benefits for those lakes and streams we love. Every drop of water that is not used is a drop of water that stays in the system to create habitat for aquatic and terrestrial species, and to dilute flows for improved water quality. Last but not least, the less water that’s diverted, treated, distributed, used in Bozeman homes and businesses, and sent to the water reclamation facility, reduces the amount of energy required for all of those processes. How do we achieve our water conservation goal? Educating people about free and easy ways to save water is a good first step. For instance, find out how much water you use at home at: http://www.bozeman.net/Departments/Public-Works/Water-Conservation/Resources/Residential/How-much-water-you-use. Check for leaks, wait until the dishwasher is full before running, turn off faucets while brushing teeth or shaving (better yet, grow the beard), and take shorter showers. Want to take it up a notch? Install devices like high efficiency toilets, clothes washers and shower heads. These simple retrofits are just as much a part of Bozeman’s water infrastructure as a treatment plant or distribution pipe. Investments in this type of demand side “infrastructure” can reduce the amount of new water supplies that need to be purchased by the city and result in energy and cost savings that really add up for participating Bozeman water customers. For example, the typical clothes washer uses about 40-45 gallons per load. The average household in the United States does about 400 loads per year. That equals 16,000 gallons of water to wash clothes per household. High efficiency clothes washers use about 15-20 gallons per load. That equals 8,000 gallons per year, or fifty percent less water when compared to a standard washing machine. About a year ago, the City of Bozeman’s Water Conservation Division started a rebate program offering customers a $150.00 rebate for qualifying high efficiency clothes washers. So far, 120 city residents have taken advantage of the program and swapped out their old clothes washers for new ones. The installation of 120 high efficiency clothes washers saves almost one million gallons every year for the life of those machines. That is enough water for thirteen single family homes or twenty-three multi-family homes. These 120 clothes washers also save participating customers money each month on their energy bill. While it can depend on how much hot water is used, traditional clothes washers in a single family residence typically use about 1,040 kWh per year. 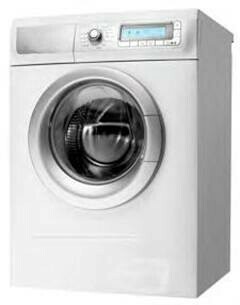 A high efficiency clothes washer uses about 500 kWh per year. The energy saved per machine is enough energy to power a single family home in Bozeman for ten days. Still not convinced? Seventy-five percent of water used inside homes is used in bathrooms with toilets winning first prize for the most water use. 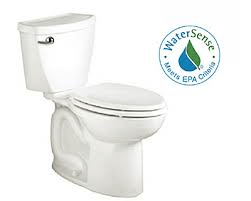 New, WaterSense® labeled high efficiency toilets use sixty-five percent less water than toilets twenty years or older and, in order to earn the WaterSense® label, must perform as well if not better than a regular toilet. The city offers a $125.00 rebate (max $250.00) on WaterSense® labeled high efficiency toilets for qualifying customers. This rebate often completely covers the cost of the toilet and saves 13,000 gallons per year per toilet. So far, 1,186 toilets have been replaced through Bozeman’s toilet rebate program for an annual, recurring savings of 14,600,000 gallons! That’s enough to provide water to 192 new single family homes or 363 new multi-family homes without taking one more drop of water from the watershed than we already have available to us. Showers account for twenty percent of water usage inside the home. For $15.00 swap out your old showerhead for a WaterSense® labeled model while supplies last and reduce water use by 3,000 gallons per year, saving 370 Kwh to boot. Scared of the possibility of low flow showers and bad hair days? Don’t be! The new technology is so good that most people do not even know the difference. Aerators are cheap and easily installed on bathroom faucets. Aerators do not rob you of precious water pressure, but they use a lot less water and can save 570 gallons per year. These technological advances save energy and money without compromising the performance we expect. Best of all, they help generate additional water supplies for Bozeman’s current and future needs. Bozeman’s Water Conservation Division would like to thank everyone making choices to save water particularly to those who participate in the city’s rebate programs. While we have only scratched the surface, your contributions help to secure our water supplies now and for the future. For those of you who have not yet taken the plunge, what are you waiting for? Start saving water, energy and money today! Lain Leoniak is theWater Resources Manager for the City of Bozeman. She can be reached at waterconservation@bozeman.net or 406.582.2280.